This entry was posted in PELANGA RECORDS! 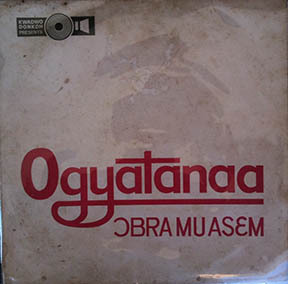 and tagged Ghana, Highlife, Ogyatanaa by Papicultor. Bookmark the permalink. @DJ…nice!…’the simmer’; that is a phenomenal way of putting it. Depending on the timeframe, the richness of the reduction will come out (ever so slightly) different each time! If you just let it cook…heels yeah. @Papi…the philosophy behind it is the best part. Where’d you find this?